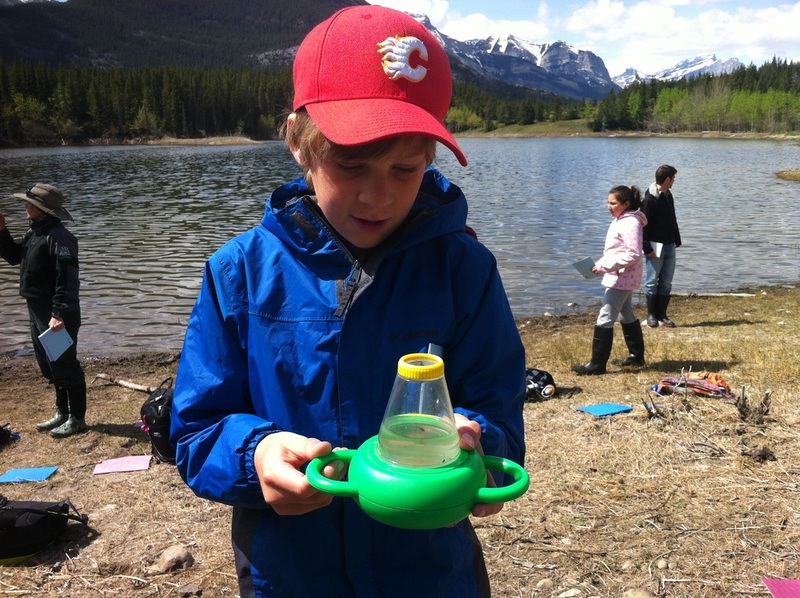 DO YOU THINK THE WEASELHEAD IS A HEALTHY ECOSYSTEM? 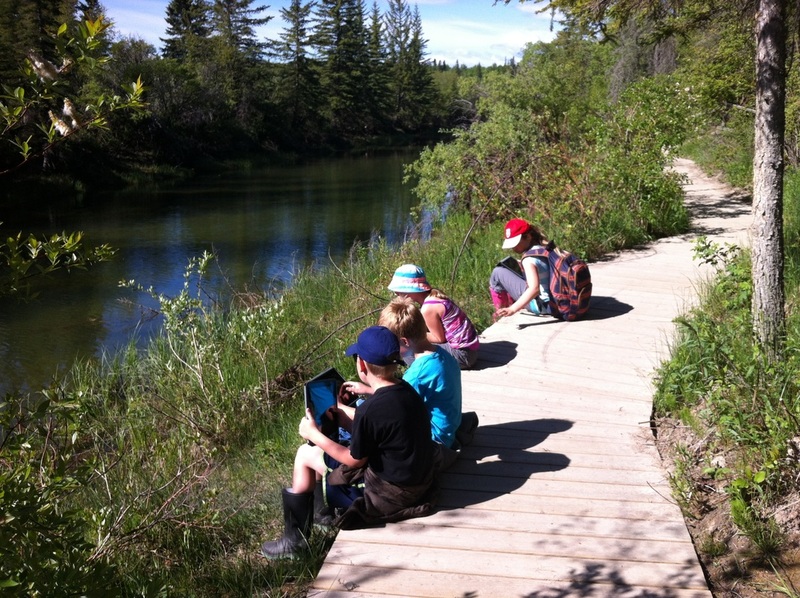 On our first trip students immersed themselves in the Weaselhead environment, recording all their qualitative observations on their iPads. 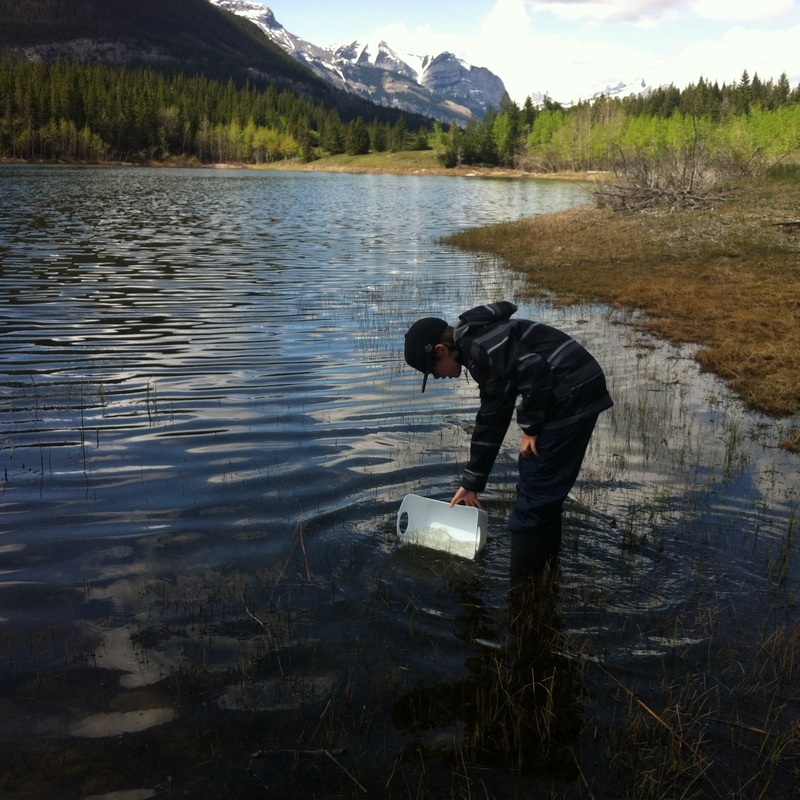 Initial observations included a variety of photos and sound recordings at each location we visited to support whether the Weaselhead is a healthy ecosystem. Connect Charter is preparing students for life in a rapidly changing world—a world of expanding knowledge and technology in which new challenges and opportunities continually arise. The decisions and actions of future citizens need to be based on an awareness and understanding of their world and on the ability to ask relevant questions, seek answers, define problems and find solutions. Ducks Unlimited needs your help! As our communities continue to grow, more land is needed for homes and businesses. Sometimes this development damages or even destroys the wetland areas. 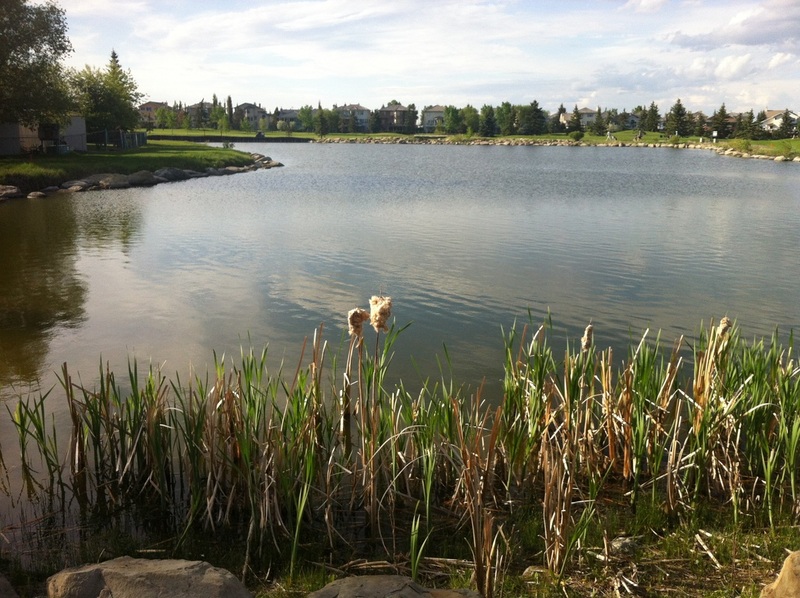 For example, the city of St. Albert is planning to build a road that will go over Big Lake, a well-known wetland. The city of Calgary would like to build 400 houses over another wetland south of the city and build a ring road through Weaselhead. Ducks Unlimited would like to make the public more aware of the value of the wetlands. They are launching an ambitious advertising campaign across the province and are asking grade five students in Alberta to help them with this campaign. 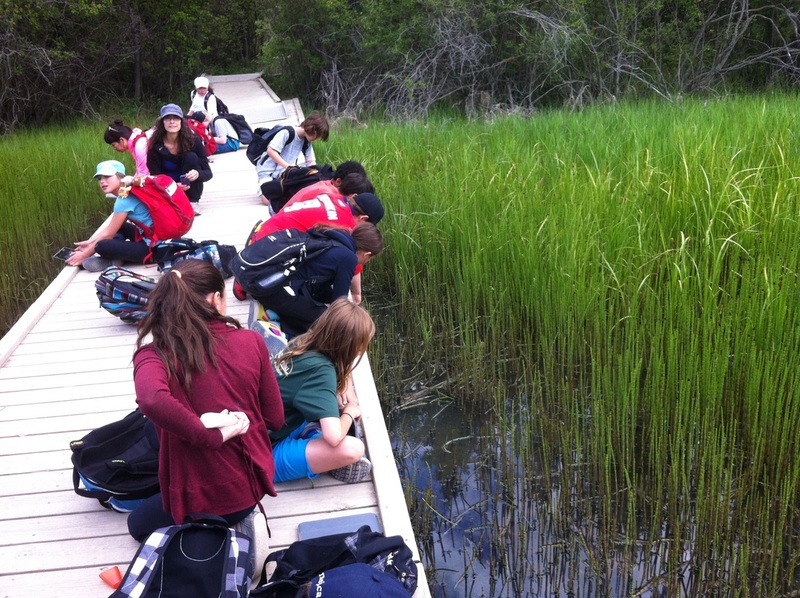 They want students to share their knowledge of the value of wetland areas with their fellow Albertans. Background information about wetland communities so your audience will understand why wetlands are important. 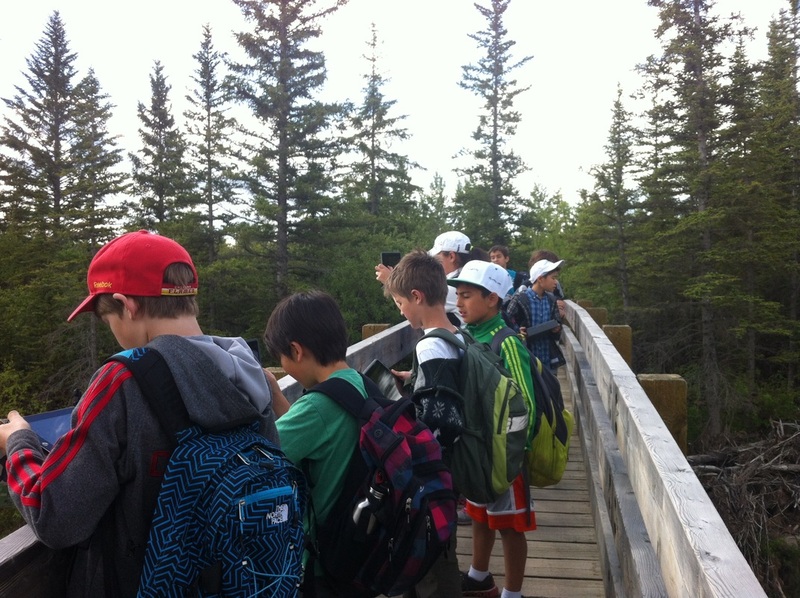 You will need a brief description of a wetland environment, including information about the various interactions between living and nonliving things and their respective roles in this community. An explanation about how human actions can endanger the wetland community, including specific examples. 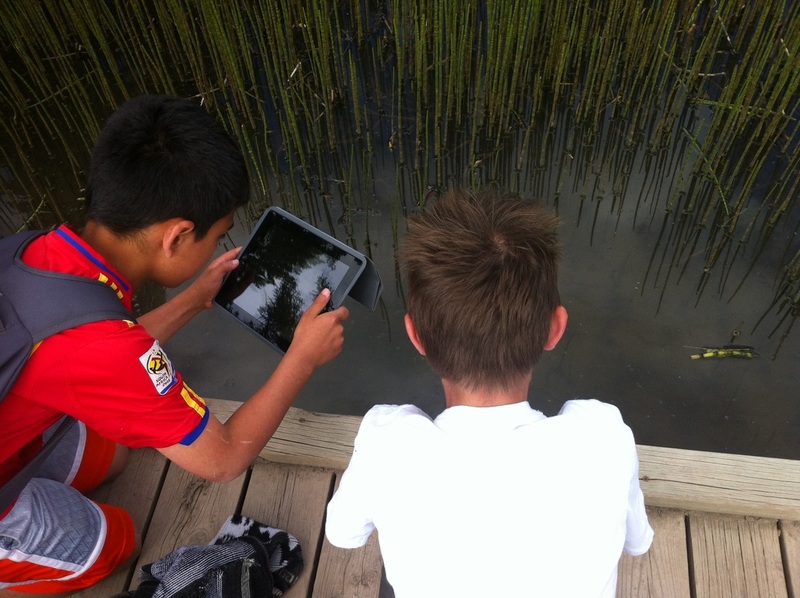 Actions that individuals and groups can take to preserve and enhance wetland habitats. To support you in your research your teachers will provide you a list of experts to contact and websites to visit. Your message may be presented in many different forms, such as a poster, brochure, documentary, television commercial, letter to the editor, etc. You will share your completed project with your Ducks Unlimited representative and your classmates. 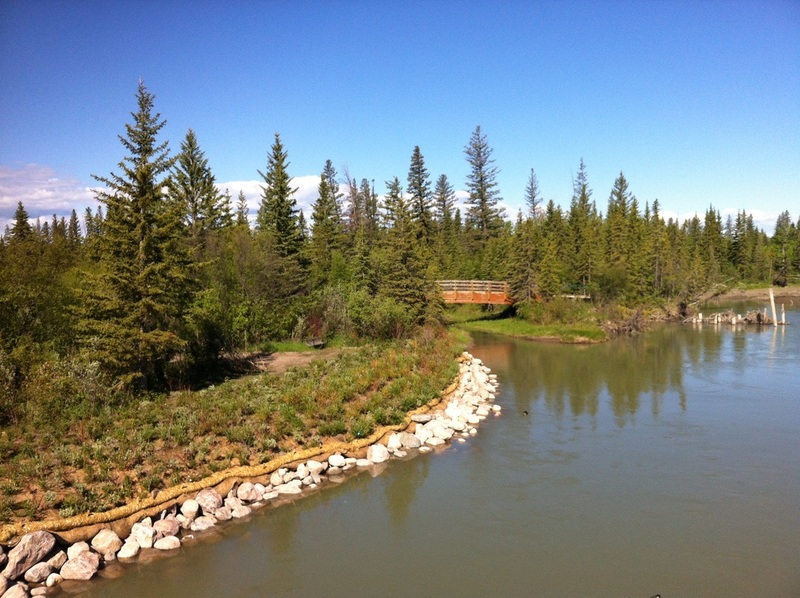 Make sure that your submission is appealing and persuasive in order to convince your fellow Albertans to join you in your action to save the wetlands! September 2005 Save the Wetlands! Science is peppered with stories of discovery, with some of the biggest breakthroughs coming from seemingly everyday occurrences. One of the oldest and well-known tales revolves around Archimedes' legendary “Eureka!” moment when he realized the principle of buoyancy and displacement while taking a bath. After listening to the story of Archimedes' discovery, students were asked to think about and discuss whether his principle had 'Mathematical Merit". A couple of examples of their discussion points were that the Science of Math can be used to solve a problem (determining the volume of the gold in the crown), and that 'merit' implied a level of reliability and quality. Students were then tasked with devising and conducting an experiment to prove the mathematical merit of Archimedes' discovery. 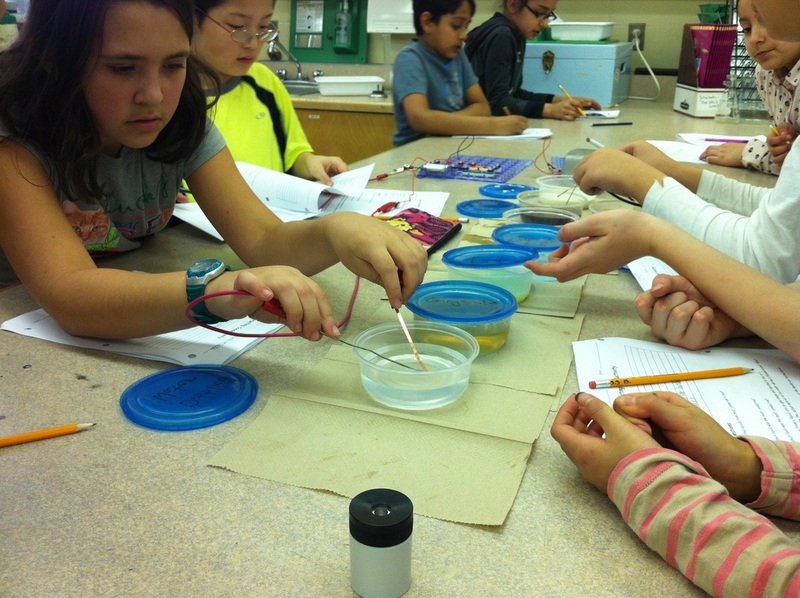 By applying the components of Scientific Method to this work, students were able to identify their experimental variables (controlled, manipulated, and responding), record and compare their data using a chart, identify patterns in their observations, and relate these patterns in a sound mathematical conclusion. Their conclusions demonstrated the relationship between the number of centimetre cubes added to the water in a graduated cylinder, and the corresponding change in the level of the water. Their 'Eureka' moment came when they showed that 1 cubic centimetre displaces 1 millilitre of water, and that this represents the volume of an object. Further food for thought was to consider how this information could be used in other applications and problems. Students built, tested, and researched individual weather instruments to use in furthering their understanding of weather measurement and weather prediction. Now we are hoping for all the classic Calgary spring conditions (sun, rain, snow, wind, chinooks, etc.) so students can continue to incorporate weather information into their daily weather journals. Have your child share his or her weather journal with you, and ask about our class weather instruments, particularly, how to use each one of the instruments, and what they indicate or measure. 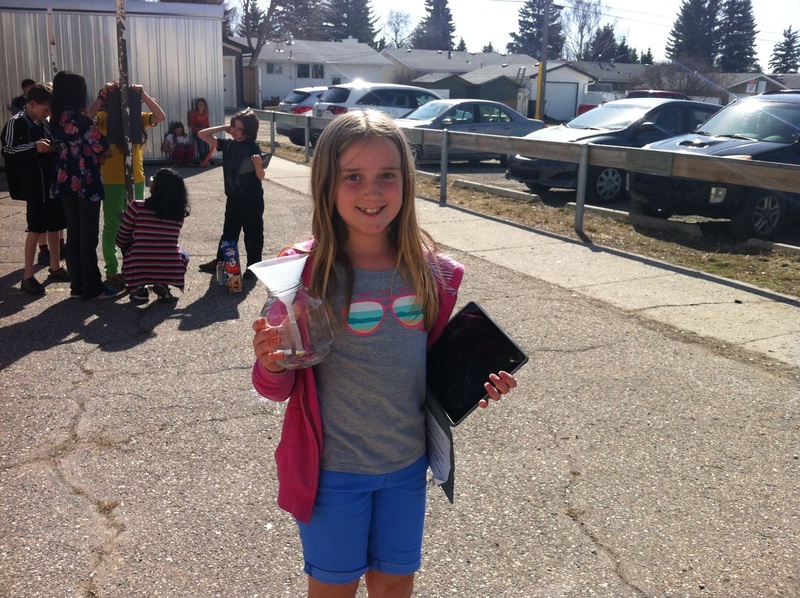 The instruments the students researched and made were: a rain gauge, barometer, anemometer and wind vain. 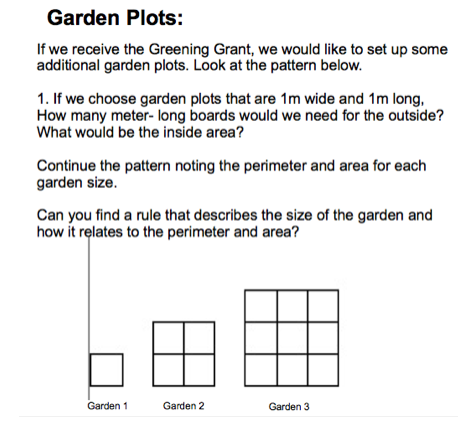 In anticipation of the (short) Calgary gardening season, we used a Garden Plot problem in math to exploring area and perimeter. This problem also facilitated an ongoing application in mathematical expressions. In the Garden Plot problem, students were examining how relationships between area and perimeter changed in different sized gardens, concluding that the rectangular garden shape that was longest and thinnest had the greatest perimeter and smallest area, while the garden rectangle closest to a square had the smallest perimeter and greatest area. Students did excellent work with this challenging concept and some related word problems! We will be exploring volume and capacity next. For the past month, grade 5 students have been motoring along to plan and build their City of Ember Electrical Inventions. 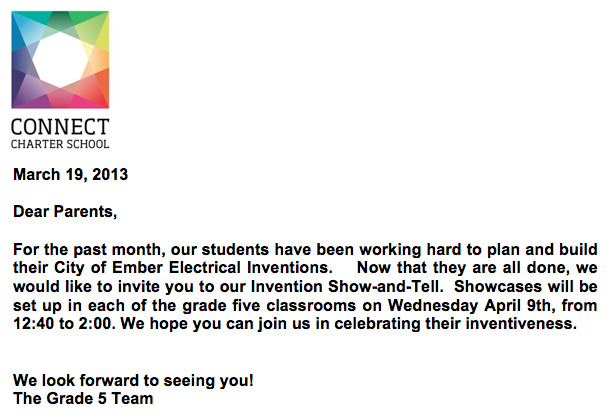 Now that they were done, we invited everyone to our Invention Show-and-Tell. 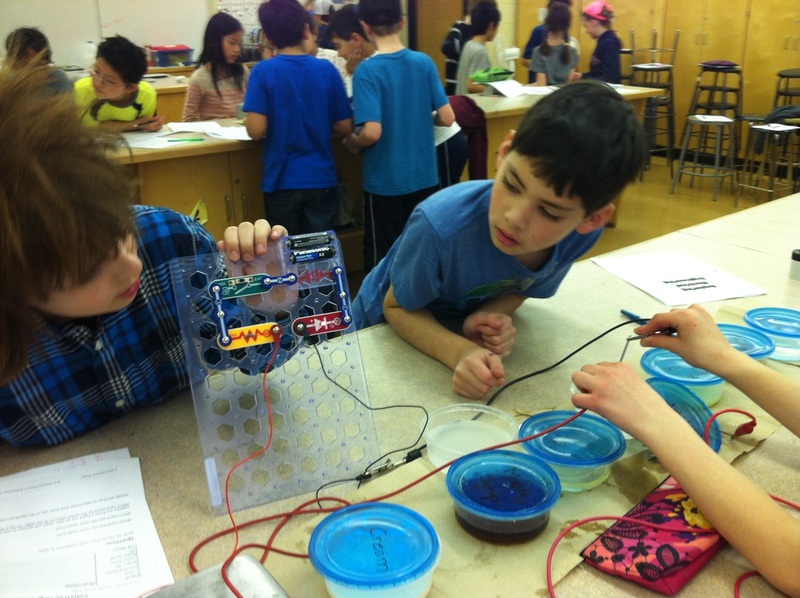 Each of the grade five classrooms were buzzing with excitement, as the students shared their electrical devices. The show and tell was well attended by students, parents and staff. Enjoy the photos. Last week our students had an opportunity to work with two Electrical Engineers from the University of Calgary. 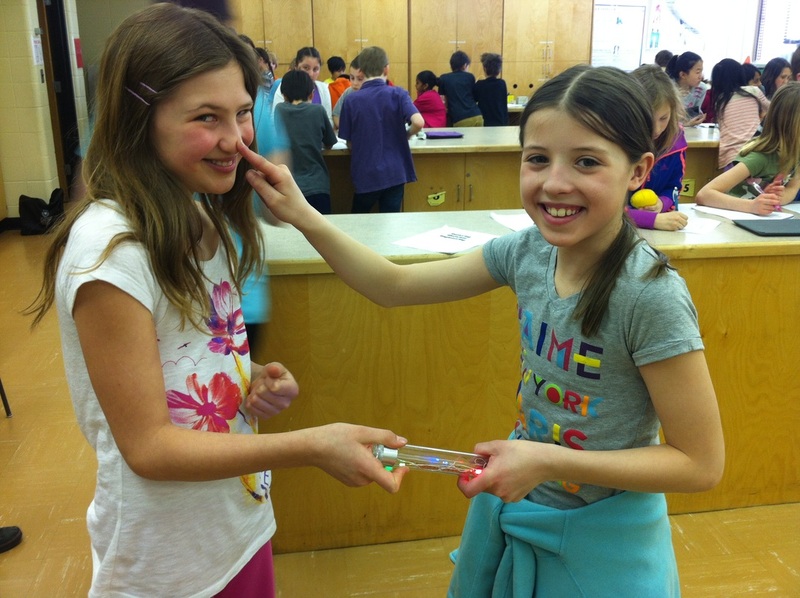 Students engaged in a variety of hands-on activities that explored a variety of electrical concepts. 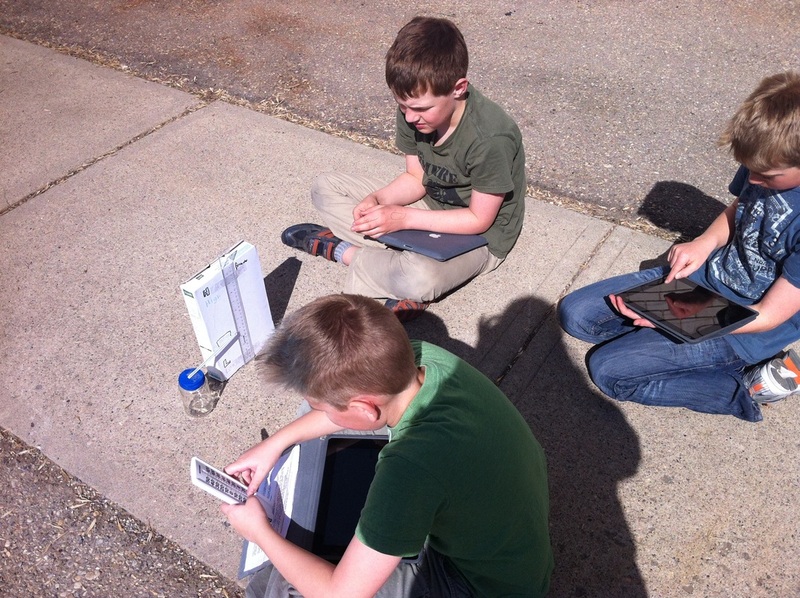 Instructions were provided on how to perform each activity, and students recorded their observations for later analysis and design tasks. Students explored the concepts of conductivity and voltage. 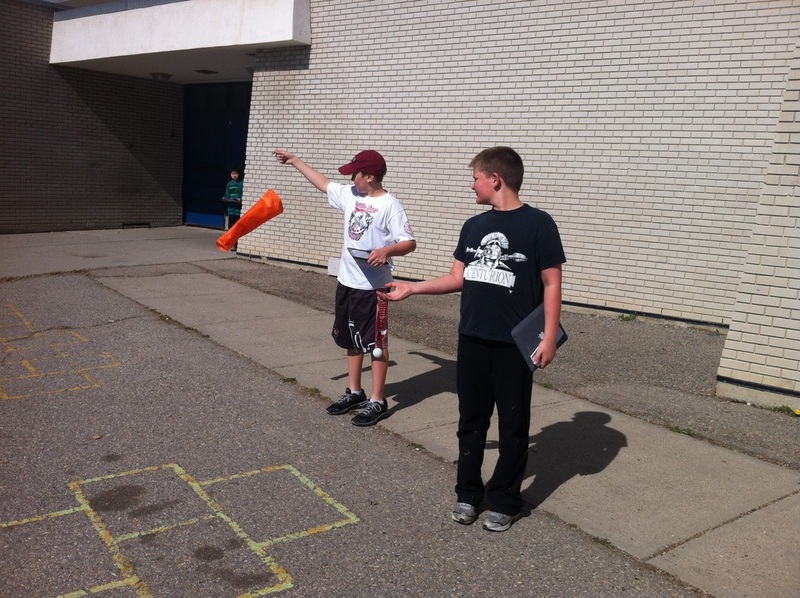 In this activity, students worked in small groups, rotating through three different stations. At the first station, students were given a simple circuit consisting of two AA batteries, an LED, wires, and a piece of copper and zinc. Students placed the copper and zinc pieces in a variety of household liquids and record their observations of the LED's brightness. In this station, students learned about conductive liquids, and how variations in conductivity can add resistance to a circuit, therefore impacting the load on the circuit, in this case dimming of an LED. After recording their observations, students were asked to design and sketch an igloo made form one of the liquids in frozen form. Their igloo had to be safe enough to live in during a thunderstorm. To complete this task successfully students had to think about insulators versus conductors, and to recognize that the least conductive liquid in their experiment would provide the most insulate igloo building material. At the second station, students inserted copper and zinc pieces into common fruits and vegetables, and used a multimeter to measure the amount of natural voltage produced. Students recorded their data and observations about the appearance of each fruit and vegetable. Afterwards, students were asked to design and sketch a flashlight powered by on e of the fruits or vegetables that they tested. This encouraged students to be imaginative, as there was no specific right answer to this question. Students needed to justify their choice, taking into account the voltage, levels, weight, size, density, etc. The third station was exploratory with very little structure, encouraging students to be creative and work together to create a variety of working, life-sized circuits. Students were provided with conductivity sticks - a small tube containing a circuit that requires two conductive connections to complete the circuit. Once completed, the circuit lit up and played sounds. Students were excited to share their findings and their designs from all the stations with the rest of the class, comparing design decisions and justifications. Students were led through a brief overview of the main inventors in electrical engineering, including Benjamin Franklin, Joseph Swan, and Thomas Edison. 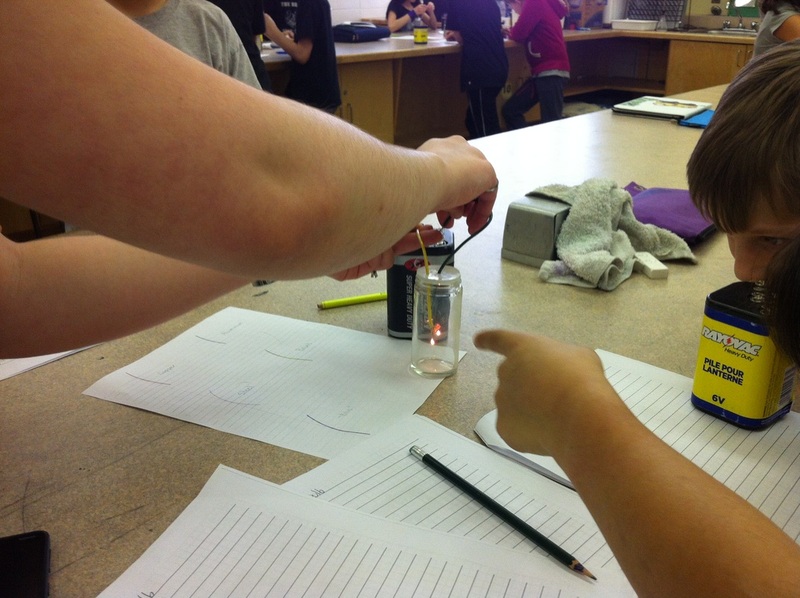 The hands-on activity encouraged students to re-create Edisons historic light bulb experiments by testing and observing how different types of wires glow when connected to a 6 volt battery. Students recorded their observation, and determined which wire creates the longest burning light. Is Math your thing? Want to challenge yourself in Math? 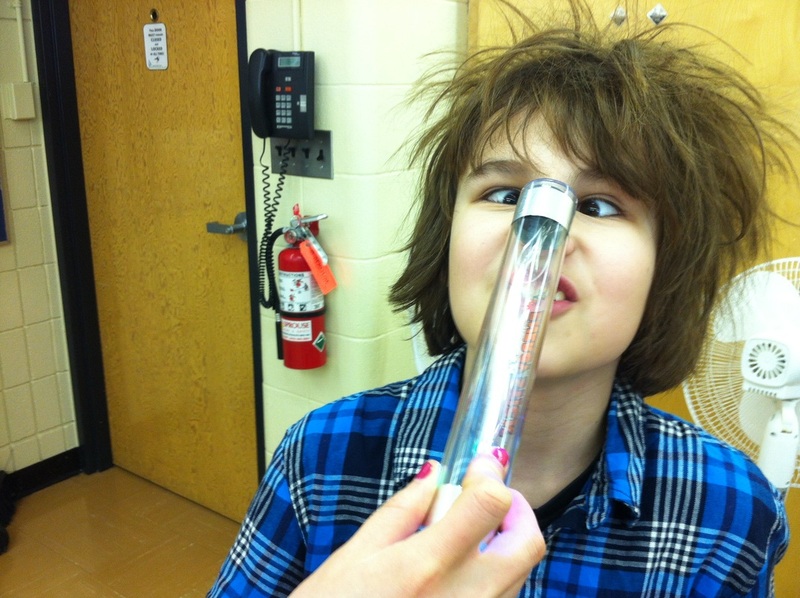 Ever year, the Mount Royal University puts on a Math Contest for elementary kids. It is not an exam with a passing or failing grade, rather, an opportunity for you to challenge yourself, work with other kids who like math, and have fun. The club will meet in Ms. Armstrong’s Room on Mondays at lunch time during March and April. The final contest is optional, and will take place at school on April 30th. Can you light a light bulb with only a battery and a wire? This question was posed to Harvard and Massachusetts Institute of Technology (MIT) graduates. Surprisingly, they were unable to light a bulb with a battery and a wire. One frustrated young man hands back the equipment with the comment, "I'm a mechanical engineer, not an electrical engineer" (Private Universe Project, 1989). Our grade five students viewed the video in disbelief, observing that these "highly educated" graduates could not light the light bulb, as it appeared to our students to be a simple task. 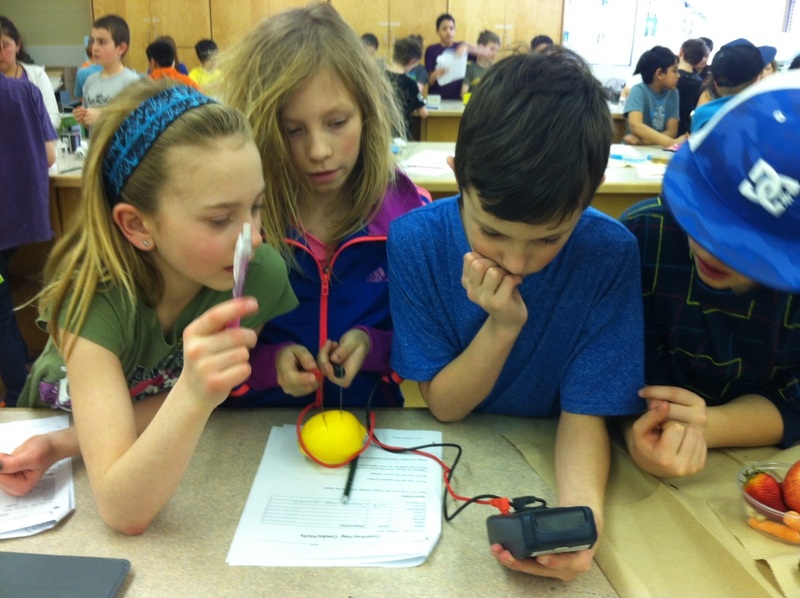 The grade fives were then supplied with the same materials as the MIT graduates, and worked in groups to solve the challenge of lighting a bulb with a battery and a wire. Once groups had successfully completed the challenge, they drafted a letter to the MIT graduates explaining and showing how to create a circuit with the provided materials to light the light bulb, and describing why the MIT students' designs did not work. As our students began drafting their letters to the grads, they recognized the need to conduct further research on simple circuits and how they work. Students then applied their scientific inquiring skills to research simple circuits, particularly the purpose of the battery and wire to light the light bulb. Through the sharing of their research, students deepened their level of understanding of the basic principles of simple circuits by inquiring into how a battery works, how electrons travel through a circuit, how energy is transferred throughout the circuit, etc.